i. Categories A. These are companies that want to carry out contracts with The National Pension Commission (PenCom) to the tune of Five million Naira (N5,000,000) and above. Fee = N50,000. Yearly Renewal = N10,000. ii. Categories B. These are companies that want to carry out contracts with The National Pension Commission (PenCom) to the tune not above Five million Naira (N5,000,000). Fee = N30,000. Yearly Renewal = N6,000. iii. 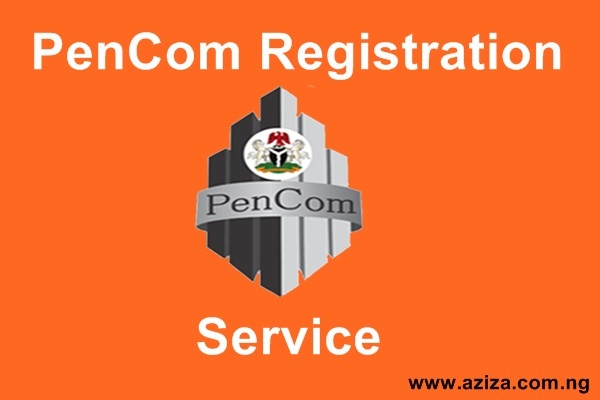 Categories C. These are companies that want to carry out contracts with PenCom not above One million Naira (N1,000,000). Registration Fee = N15,000. Yearly Renewal = N3,000. Prior to the enactment of the Pension Reform Act 2004, pension schemes in Nigeria had been bedevilled by many problems. The Public Service operated an unfunded Defined Benefits Scheme and the payment of retirement benefits were budgeted annually. The annual budgetary allocation for pension was often one of the most vulnerable items in budget implementation in the light of resource constraints. In many cases, even where budgetary provisions were made, inadequate and untimely release of funds resulted in delays and accumulation of arrears of payment of pension rights. It was obvious therefore that the Defined Benefits Scheme could not be sustained. In the private sector on the other hand, many employees were not covered by the pension schemes put in place by their employers and many of these schemes were not funded. Besides, where the schemes were funded, the management of the pension funds was full of malpractices between the fund managers and the Trustees of the pension funds. This scenario necessitated a re-think of pension administration in Nigeria by the administration of President Olusegun Obasanjo. Accordingly, the administration initiated a pension reform in order to address and eliminate the problems associated with pension schemes in the country. The outcome of the reform was the enactment into law of the Pension Reform Act 2004.